As I look back over Duetto’s six-year lifespan it often appears as a blur, with memories and milestones blending, held together by one constant image of me in an airplane seat. It’s been a fast and fun ride. 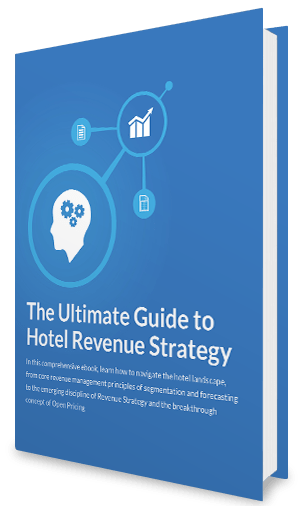 In six years, we’ve grown from a four-person team with one product focused on helping hotels price their rooms for maximum revenue, to hospitality’s Revenue Strategy Platform. We have more than 100 team members now focused on helping hoteliers analyze and implement data to improve the entire hotel customer journey and fend off industry disruptors. Online travel agencies and other disruptors keep coming, and they’ve done such a good job at marketing that they’re now ingrained into travelers’ minds when searching for lodging. This is good in that they can drive some incremental demand to hotels in need periods. But their commission costs are also severely crippling hotel profitability and impeding hoteliers’ ability to get to know their guests better and serve them the ultimate hospitality experience. So while we learn to optimize those channels and convert OTA lookers into direct bookers, we should also be searching for new ways to reach our guests with more gratifying and satisfying experiences. This means shaking up the entire travel ecosystem, from creating travel intent and providing an easier booking path to personalizing the guest experience and connecting with the guest on the channels they prefer. One of the biggest things I’ve learned over the past six years is that Duetto cannot do this alone. We will never build an entire end-to-end tech solution, because there are simply too many pieces that a hotel needs to operate efficiently – PMS, CRS, booking engine, CRM, RMS, etc. – and we would never get them all perfect. Thankfully we’ve understood the importance of vendor partnerships from the beginning and have been building relationships and integrations from the get-go. We build modern, scalable APIs to industry specifications so that we can share the most accurate data with our partner systems in real-time. Duetto truly is an open and agnostic player in every sense of the words. So as we turned the calendar to 2018 and focused our vision on the long-term prospects of hotel profitability, I thought it was time we embrace the partnerships needed to change the game. At our inaugural customer event, DuettoX, which took place in April at the Red Rock Resort Las Vegas, we brought our closest partners on stage with us to talk about how we are collaborating to reinvent the hotel customer journey. To truly innovate in these areas and take share back from the OTAs, hoteliers need their vendors to work together from one end of the hotel customer journey to the other. Guest data needs to be collected and shared accurately, without error or replication. Transaction data needs to include all types of on-property spending from the guest folio. Guest and transaction data needs to be stored and deciphered, then used to create accurate forecasts and market to our guests at the right time, on the right channel and with the right price. The hotel customer journey starts in the dreaming phase, or what we like to call travel intent. Our goal at this stage is to get the guest thinking about booking a stay at your hotel without visiting Expedia, Booking.com or even Google. One untapped market I feel strongly about is social media, where a whole world of potential travelers and their friends are milling about. So we looked outside the traditional channels and partnered with Facebook, which is just now diving headfirst into the travel vertical. Jane Ng, product growth manager for Facebook, joined me on stage at DuettoX to talk about how travelers are using Facebook and Instagram to research, review and recommend hotels and destinations. 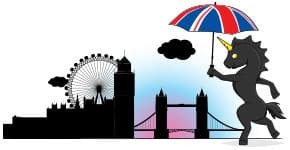 Ng said that when consumers are researching travel on these social sites, their actions become intent signals that signify their interest to travel. These intent signals power Facebook’s Dynamic Ads for Travel, a program that, in conjunction with Duetto, allows hotels to display real-time rates in your Facebook ads that ebb and flow as your supply and demand changes. And if you ask guests to sign up for your loyalty program to receive these special rates, you’re using a fenced offer to stay within rate parity constraints. Once the guest is at the booking engine, hotels must serve up the correct rates, availability and content to the guest. While Duetto works with most booking engines, we brought Sabre to DuettoX because Sabre shares our same passion for reinventing the hotel booking space. 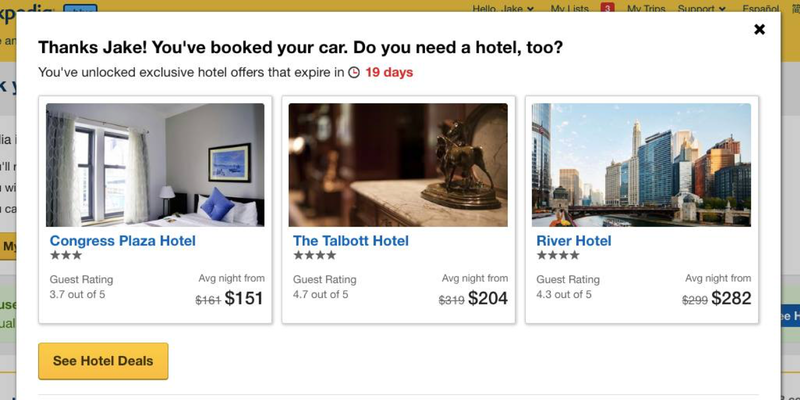 Now, with the right integrations in place, hotels can develop their marketing and pricing strategy and push it seamlessly to the booking engine. They can use those travel intent signals I mentioned earlier — plus indicators like IP address, geography, browser type, etc. — to customize the room-type sort order, packages and amenities, showing guests a personalized offer more likely to lead them to convert. These connections lead directly to providing a personalized booking experience. Once the guest has checked in and the hotel has some information about him or her, this is where our CRM partnerships come into place. There are many hotel CRMs on the market and Duetto will integrate with all of them, but we decided to bring Salesforce to DuettoX because the tech giant has the potential to bring monumental change to hotel personalization. With a connection to Salesforce.com, all the information your hotel has received to this point — room type, price, package type, address, email address — is all processed through the CRM. And any contact with the guest post check-in will also be logged in Salesforce and used to shape future experiences. 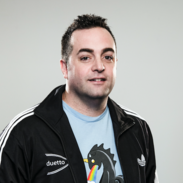 “What happens is we keep collecting this engagement, like social engagement from social media, and then we immediately create a ticket in the cloud and notify customer service, ‘Hey, you better look into this,’” said Antonio Figueiredo, Director of Industry Solutions at Salesforce, on stage at DuettoX. 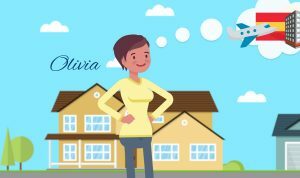 Figueiredo said a hotel’s ability to connect with the guest and collect data points while on property sets them apart from what an OTA can learn about a guest. “Once the guest is identified, is connected, is logged there, we will be able to collect data from different sources, and then from all those transactions,” he said. “That's a big difference between the hotel and an OTA. OTAs don't know what the guest does inside the hotel. You guys are closer to them. So six years in, Duetto has placed itself firmly in the middle of the hotel tech stack, processing and churning new sets of data and ensuring each partner system has the necessary information to do what they do best. One of the goals is to minimize the friction that comes in the booking process, giving travelers peace of mind that they’re getting the best accommodations at the best price. Another is to enable hotels to truly enact Revenue Strategy — breaking down the silos between marketing, sales, revenue, distribution, loyalty, operations, etc. — allowing every team member who touches revenue to have an impact. In our opinion, the key to bringing a more modern ecommerce strategy to the hotel space is to make it personalized, to make it fast and to make it unique, none of which can be done without open systems working in conjunction. Together, let’s open up the possibilities of what technology can do … for both hotels and our guests.